Cristina is currently responsible for production of insurance, risk management and loss control for her clients at Parker-Douglas Insurance. She is responsible for expanding the insurance services for Parker-Douglas nationwide with emphasis in both Texas and Arizona. Cristina attended Bethany Nazarene College in Bethany, Oklahoma and returned to Colorado to work in the banking industry. She relocated to Dallas, Texas as the Commercial Real Estate Secretary for American INVESCO after working for the same company in Denver. 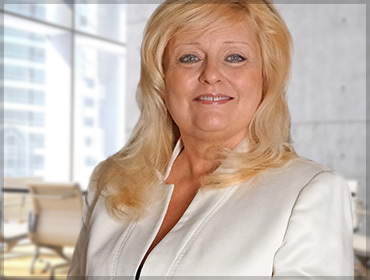 She left the banking industry in 1995 and began her career in insurance at Davis-Poston & Associates in Dallas, where she began by checking policies, as well as creating and training the loss control program. Christina developed key client relationships that resulted in writing insurance for 35,000 units nationwide. She joined Parker-Douglas Insurance in January 2015 as a producer. She has trained Loss Control for multi-family managers, owners and key employees since 2005. Christina has spoken at multiple multi-family organizations, including SAHMA, IREM, and the NMHC on issues of both loss control and risk management through her knowledge of insurance. Risk management is her great love in insurance, which she believes contributes to her skills as an insurance producer and an asset to her clients.